Crewing - Ardmore Shipping | Ardmore Shipping Corporation is engaged in the ownership and operation of product and chemical tankers in worldwide trade. 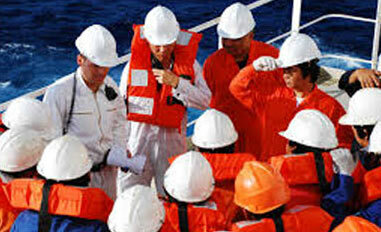 Ardmore seafaring professionals take pride in their work and achieve mastery of their operating environment. They know that integrity comes first: ensuring that every undertaking is a commitment they must deliver on, acting honestly and ethically. They also know that respect is paramount to their own success and safety, whether respect for operating risks, for the environment, for customers, or for regulations. Essential to Ardmore’s success is the seamless integration of our Seastaff into the Ardmore Group through close cooperation with our Technical Managers of choice. Ardmore promotes an inclusive, empowered working environment where personal performance management is implemented at all levels. Through clear identification of goals, seafarers know exactly what is expected of them and results are measured fairly and objectively, ensuring that reward and accountability are based on actual achievement. Ardmore’s emphasis on professionalism creates a work environment that challenges and stimulates the right kind of seafarers. Our reward concept ensures that we provide a highly competitive salary, offer good onboard facilities and working conditions, a fleet of modern vessels, and the opportunity to be part of a forward-looking company that clearly understands modern day challenges of seafaring and supports its Seastaff 100% in meeting these challenges. If you have suitable chemical and product tanker qualifications and experience and are interested in becoming an Ardmore seafaring professional, please kindly contact our partnering Technical Managers – Anglo Ardmore Ship Management or Thome Ship Management for more specific information. Please make sure to quote ‘Ardmore Shipping’ in any communication with our Technical Managers and we look forward to hearing from you.